Join recROC: When one visit just isn’t enough. Make recROC your weekend hang-out, your home (but #notyouraverage) gym, or your mission. When a one-day visit isn’t enough, recROC Membership is your answer. Year-round access to the ROC! No such thing as “not good climbing weather”. Hang out with cool people who can do really cool things. Motivation? Entertainment? Find competitors – adventure-lovers just like you! Member discounts on classes, clinics, camps and special events. 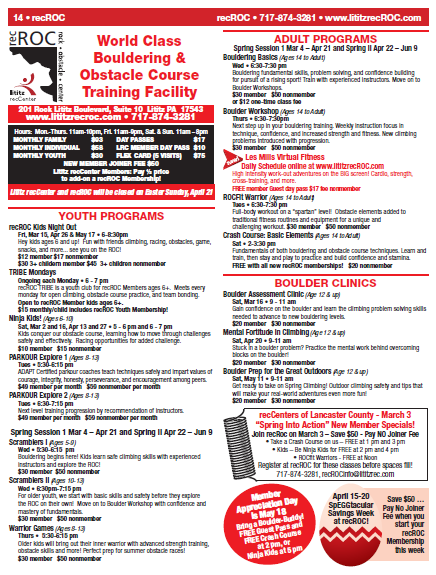 Early registration for popular seasonal programs. 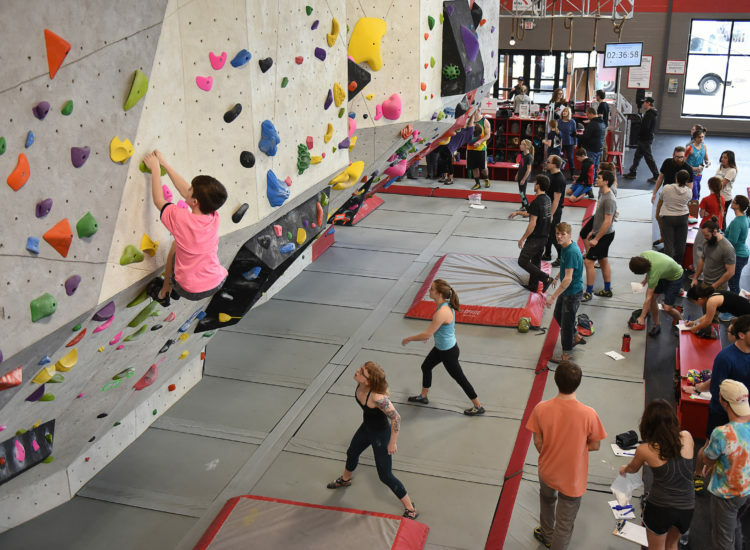 Family Membership options – climbing buddies! FREE Virtual Fitness Classes – daily. weekly.when you can fit them in. Convenient monthly membership options and auto-draft. and…if you need more, there’s more! * A $50 Joiner Fee applies to all new memberships, not reflected in rates above. Click here for more information regarding recROC membership plans! Start your recROC Membership online! Check out our Current Membership Specials at recROC!